Years of experience suggest that each transport order is different, which is why - especially in the TSL industry - it is worth talking. Individuals and companies interested in getting to know the full capabilities of Otto Logistics are welcomed to send a form and inquiry for a specific service. Our representatives will contact you and offer the best solution. 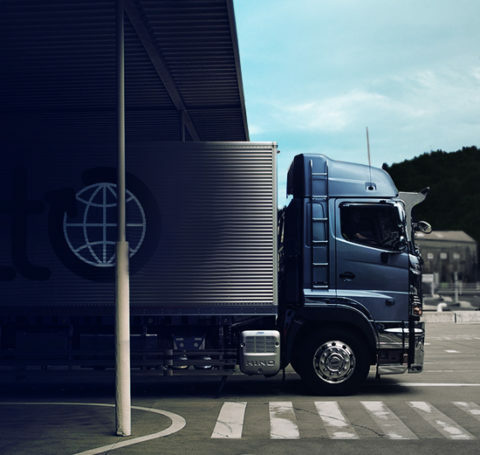 International transport is one of the main activities of Otto Logistics. We consistently focus on the quality of service and transport safety, which is to reach the place indicated by the customer. Many years of experience in international transport, allowed us to achieve a high level of services. With the loads entrusted to us, we arrive safely and on time to the farthest corners of Europe. The most frequently pursued majors are: Germany, Belgium, the Netherlands, Italy, England, Norway and Ukraine, but we also carry out transport orders in other European Union countries and European countries that do not belong to the Community, such as Croatia and Switzerland. We provide safe and timely transportation thanks to experienced drivers, modern rolling stock (availability of cars from 1 to 24 tons). The loads transported by us are always insured under the carrier’s liability insurance. Transport takes place in one, optimally matched to the needs of the car’s cargo. We also offer delivery in the door to door system. We are able to transport virtually any cargo anywhere in Poland. Fast and at a competitive price. Thanks to our many years of experience, we guarantee reliability and punctuality. We provide our contractors with comprehensive forwarding in Poland. We invite you to contact us, and you will certainly be satisfied with the optimal solutions for your products, regardless of the type of cargo. For many years, we have been offering our clients a professional, on time and safe organization of transport throughout Europe.